IFLN forwarders handle pretty exciting cargo sometimes, and the benefits of IFLN membership have proved particularly rewarding in ensuring that such items reach their destination safely and securely, especially when time is also critical. 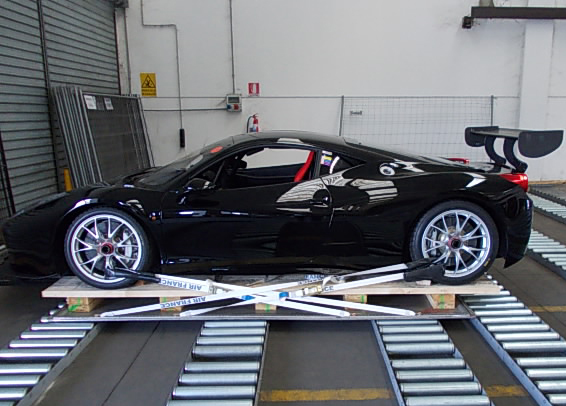 Such a case of partnership was evident when the Canadian office of Highland Project Logistics Corporation, based in Montreal, was asked to move a Ferrari 458 ITALIA Challenge car that had been damaged on the race track, to Italy where it would be repaired. However, once the repair work had been completed, it was evident that returning the car to Canada by ship was not an option, given the time that transporting the car by sea would take, it would be too late for the race it was required to compete in. Quick thinking was needed. Highland Project Canada's president and branch manager Lucian Magda explained, "I tried many options, with three different IFLN agents that I know and trust, and have worked together with for many years. We even looked at taking it by truck to Germany and flying it from there. All three did a great job and offered very good options, but the best solution in terms of both transit time and price for my customer was offered by Alitrans, so we decided to go with them." 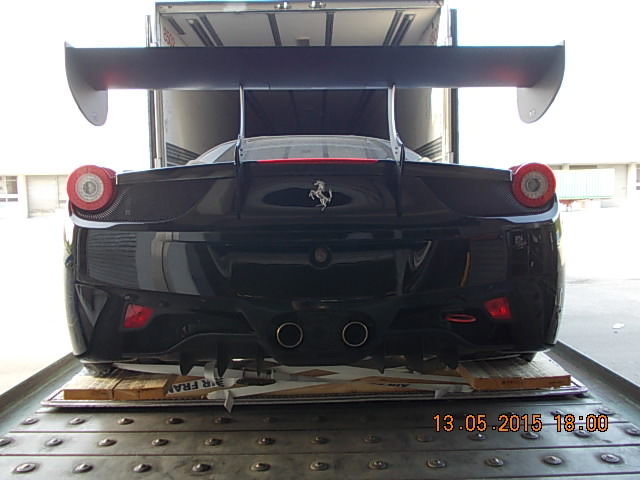 Alitrans picked up the Ferrari and transported it to the Bologna airport on May 13. Alitrans sales executive Samuele Mazzi continued the story, "We moved the car out of the Bologna airport without any problem, the car having been accepted as dangerous goods. We picked up the car on May 13 and we had the booking with KLM for a flight on Friday, May 15 from Amsterdam to Toronto Pearson International Airport. That same day, a truck carried the car from Toronto on to its destination." Mazzi points to the "very good relationship" that Alitrans has with Highland, while Magda enthused, "They did a great job. It was not easy, with carriers changing their minds at the last minute." Magda actually went to the airport with his broker to clear the vehicle, concerned that Canadian Customs would demand an inspection of the car and not release it before the Monday when it was required for its tune-up and then the race. But, he noted, "Finally, they stamped my documents and I was able to get the car that same day. "It was on the edge right to the last minute; it was a team effort, and we finally did it. The customer was happy, and that's what matters," he said, adding, "I would love to do more projects like this, especially with other IFLN members. This is a special network of friends, more than simply colleagues or agents. Good people that you can count on."